A Pulitzer-prize winning investigation found that law firm Jackson Kelly, now defended by Senator Joe Manchin, concealed evidence and shaped doctor’s testimony. Only one day after the Center for Public Integrity’s reporting series on denials of black lung benefits to coal miners was awarded the Pulitzer Prize, Senator Joe Manchin (D-WV) defended the controversial law firm at the center of the investigation. As he stepped to the podium of the National Western Mining Convention in Denver on Tuesday, Manchin heaped praise upon Jackson Kelly, a sponsor of the event and the law firm implicated in unethically concealing medical evidence of miners dying of black lung. “I want to thank my dear friends at Jackson Kelly,” exclaimed the senator. In his remarks, Manchin also noted that his former staffer, Kelly Goes, is now an employee of the firm. In a brief interview with Republic Report after his speech, Manchin was asked about Jackson Kelly’s conduct regarding black lung cases. He brushed aside criticism of the firm. The Center for Public Integrity story revealed that Jackson Kelly has systemically denied coal miners black lung benefit claims by withholding unfavorable evidence and shaping the opinions of doctors called upon in court. CFPI Reporter Chris Hamby’s investigation “suggests that there has been a pattern and practice by lawyers at the Jackson Kelly law firm which has compromised the integrity of the black lung benefits program and potentially tainted numerous decisions adversely affecting coal miners and their survivors,” wrote Representatives George Miller (D-California) and Joe Courtney (D-Connecticut) in a letter to the Department of Labor last year. “If the law firm is doing their job and we don’t like it, we’ve got to look at the rules and laws we have on the books,” said Manchin, after being asked by Republic Report about his praise of Jackson Kelly. “They’ve been a prestigious law firm for a long time in West Virginia. There’s good people that I know that work there and if there’s something that’s wrong and needs to be fixed or changed, it will be,” he continued. 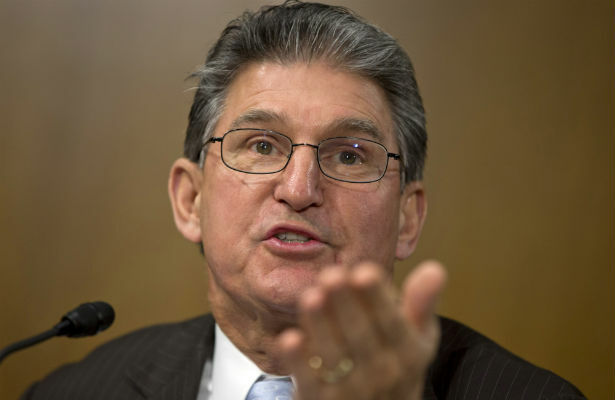 Manchin is a close ally to the coal industry. At the conference, he touted his new legislation that would block the EPA from implementing new regulations on coal power plants. Jackson Kelly, according to its website, has represented the coal industry since the mid-19th century. Manchin did not sign on to the letter from other congressional Democrats asking the Labor Department to investigate claims that Jackson Kelly improperly concealed medical evidence of black lung claims. Yet Manchin told us that he is confident that any potential wrongdoing will be worked out.